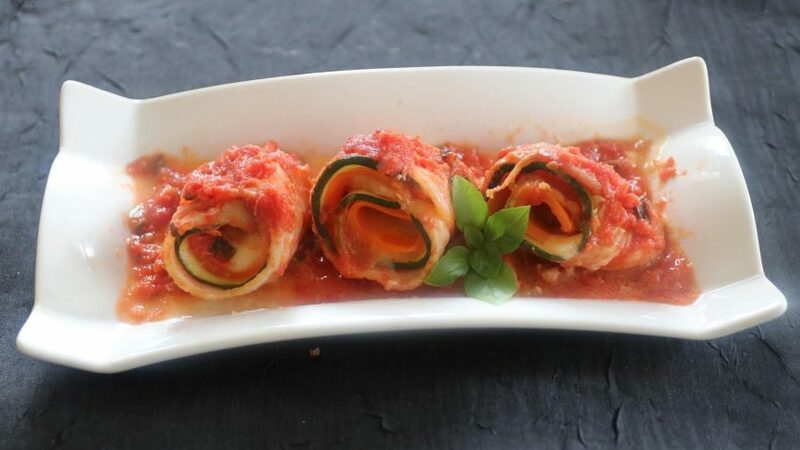 Ratatouille is a stewed vegetable dish which originated in Nice, France. As a result, ratatouille is sometimes referred to as ratatouille niçoise. 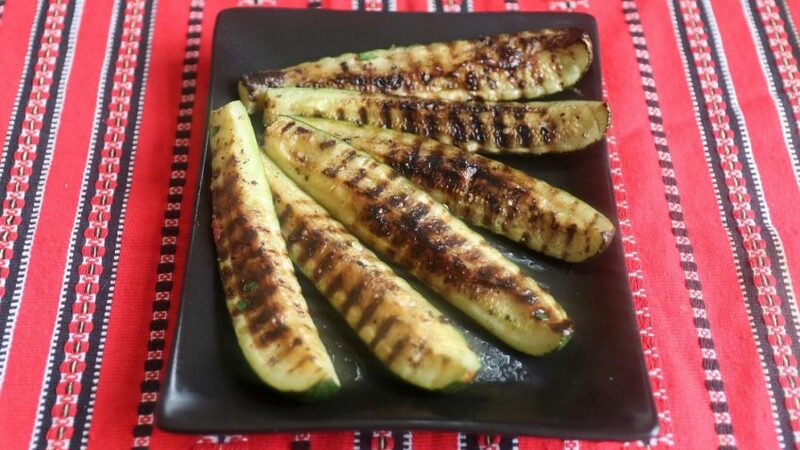 In the original ratatouille recipe, the vegetables are fried before baking. 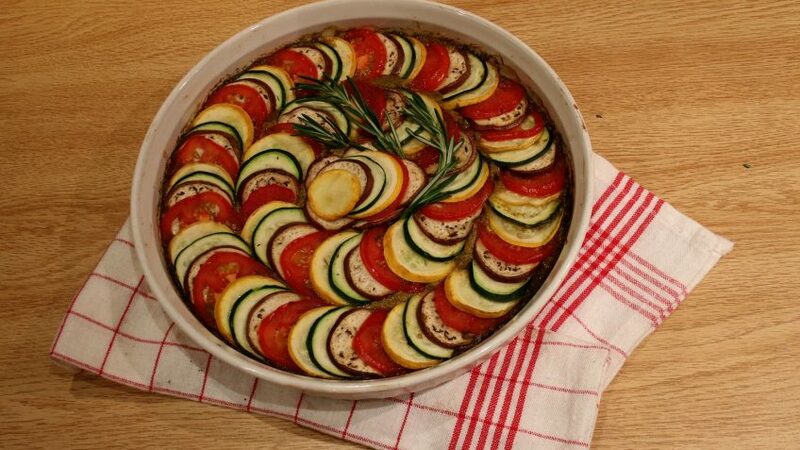 Confit byaldi is a variation on the traditional Ratatouille which was adapted by French chef Michel Guerard. Since at least 1976, some French chefs have prepared the ratatouille vegetables in thin slices instead of the traditional rough-cut. The sauce (piperade) is a variation from the traditional to reduce carbohydrates and to add more nutrients with the addition of Italian parsley/cilantro, fiber with celery, and healthy fats with the melted butter. 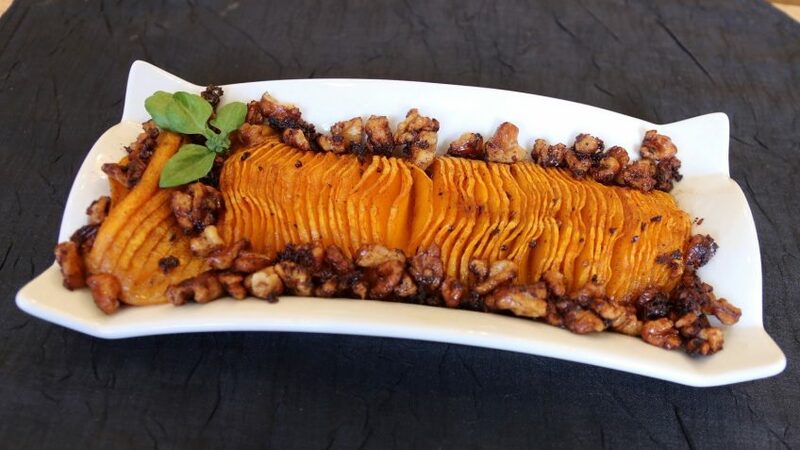 I hope you try this impressive looking but so easy all vegetable side dish.